"The 2010 Chablis Les Clos is quite a bit more vibrant than the Vaudesir. Cool, mineral notes lead to expressive white stone fruits and flowers. Here, too, the integration of oak is superb. I especially like the way the fruit continues to blossom as the wine sits in the glass. The 2010 Clos appears to have significant potential for the future. Anticipated maturity: 2014+". "I admire the way the 2010 Chablis Vaudesir wraps around the palate with serious depth and richness. Aging in oak gives the Vaudesir considerable textural richness, yet the wine remains polished and light on its feet. Here the oak appears to be better balanced than in the Secher, or, to put it another way, the fruit has more inherent depth and pedigree so as to be less overtly marked by the cooperage. Layers of fruit build to a generous, textured finish laced with subtle floral and spice notes. This is a strong showing from Drouhin-Vaudon. Anticipated maturity: 2012+". "The 2010 Chablis Montmains is gorgeous. White stone fruits, citrus, flowers and mint give the wine considerable brightness. In 2010, the Montmains is totally inviting for its textural finesse and lovely grace. It is, in my view, the best balanced of the premier crus. Anticipated maturity: 2013+". 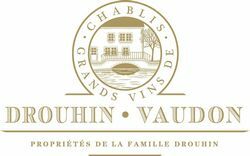 "Drouhin-Vaudon's 2010 Chablis Secher presents an attractive melange of deep, expressive fruit and generous buffering minerality. Crushed rocks and a hint of spice add complexity on the finish. Aging in oak gives the Secher a certain textural richness that melds seamlessly through to the finish. Anticipated maturity: 2012". "Succulent peaches, apricots and flowers jump from the glass as the 2010 Chablis Vaillons shows off its ripe, fleshy personality. The 2010 is decidedly racy and extroverted with slight hints of over-ripeness. Accordingly, it is best enjoyed over the next few years. Anticipated maturity: 2012+". "The 2010 Chablis Reserve de Vaudon is beautiful and focused from start to finish. This is a relatively soft, open Chablis for the year that impresses for its notable elegance and texture. White stone fruits and flowers are layered into the long finish. Anticipated maturity: 2012+".